Sorry for the radio silence. I've been SO busy with work and medical appointments! It seems all I do is run around like a crazy person! And on top of all everything, I broke my toe last week making it very difficult to wear my cute winter boots (not to mention walk!). My husband jokes that I need to live in a padded room. 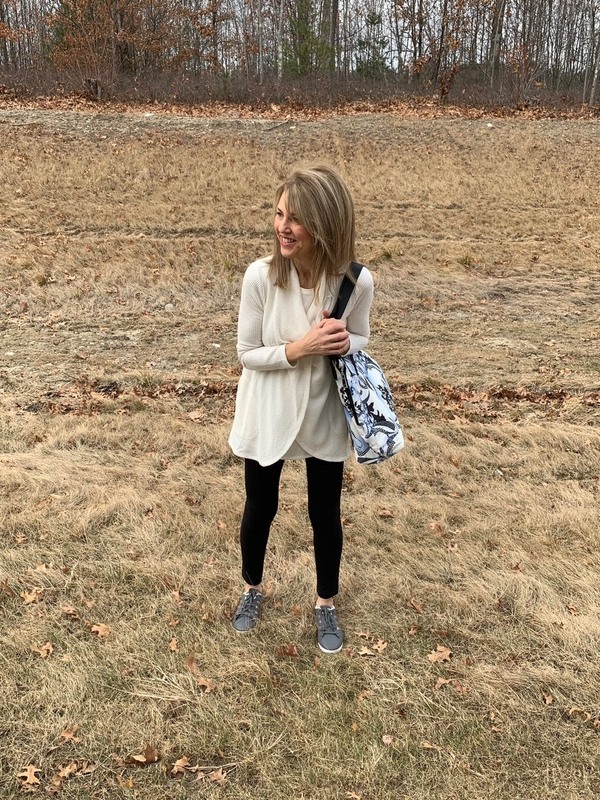 So when Chico's invited me to choose an outfit from their Zenergy collection, it was perfect timing. Because of my limited footwear, I've been living in comfy casual clothes and sneakers. Richard and I took these photos in our yard over the weekend "just" before a big winter storm hit. Now the ground is covered with snow. I LOVE this outfit SO much! It's amazingly comfy and everything about it just "works". The leggings come up super high but don't roll down--and they're the perfect length to wear with heels, flats or tucked inside boots. Find them HERE. The waffle knit tank and matching cardigan are a great length to wear with leggings (covering the tush) and I love that the cardigan can be worn open or snapped up. Find them HERE and HERE. These pieces come in a rainbow of colors too! I need one of each....seriously. And then there's the bag! This tote is extremely light and adds some fun to a simple outfit. 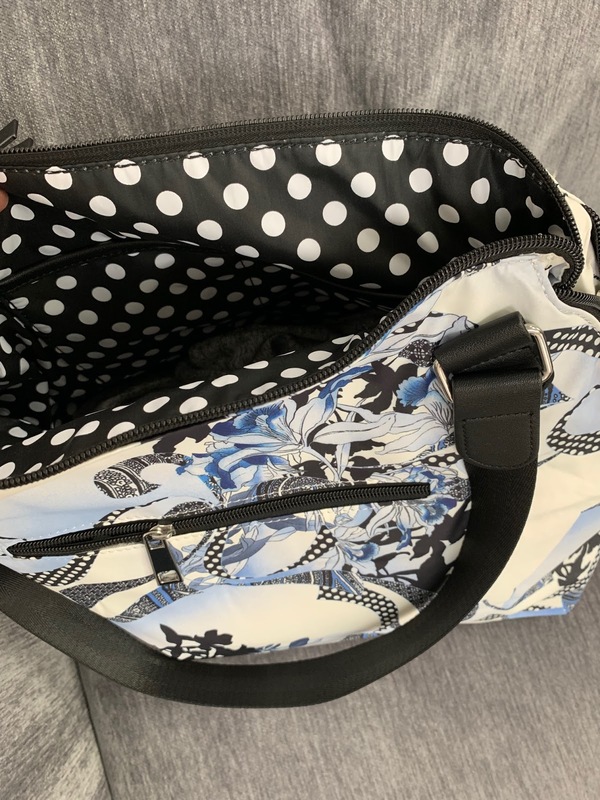 It's large enough to use as a gym or overnight bag too. Actually, this whole outfit would be great for traveling! 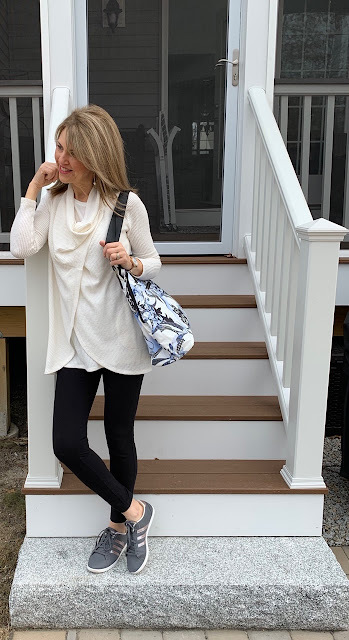 Find the blue floral tote HERE. I love the adorable lining too! 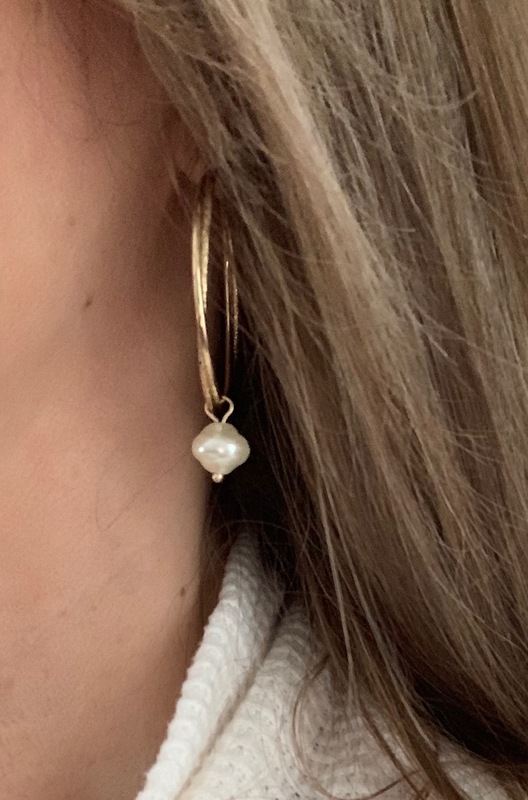 And last but not least (and because I'm a "hoop girl"), I'm wearing a simple gold hoop with a drop pearl. Find these HERE. These sneakers "just barely" work for my broken toe. I've actually been living in All Birds and they're amazingly comfortable! Now that the snow is here, I had to buy some extra wide boots so my feet don't freeze. By the way, in case you're wondering how I broke my toe, here's the very boring story. I was going to the bathroom in the middle of the night and banged my foot into the door. I could tell you that I was skiing down the Alps, but that would be lying. 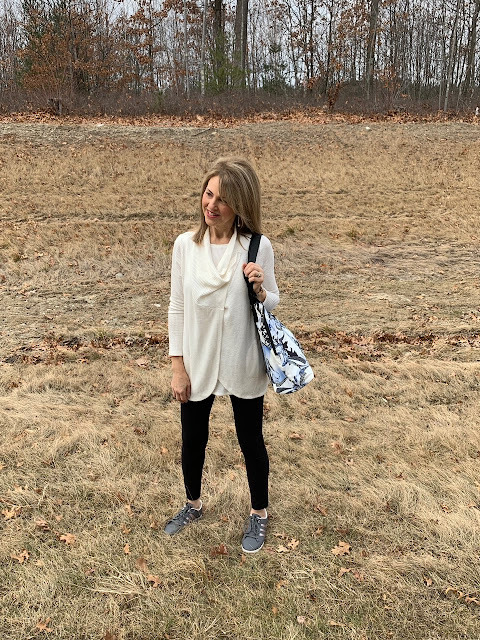 Chico's gifted the leggings, tops, bag and earrings but all opinions and selections are my own.--promise! I dreamed of a gorgeous space where my clothes, bags and shoes were all beautifully organized and displayed. I dreamed of a "girl-cave" where I could escape to play dress-ups and be inspired to get dressed each morning. Our kids are grown and on their own, so last June Richard and I moved into an over 55 community. I had my eye on an extra room on the second floor of our new home that was "supposed" to be for storage. "What if"... just what if" I turned it into the custom closet I've always dreamed of? 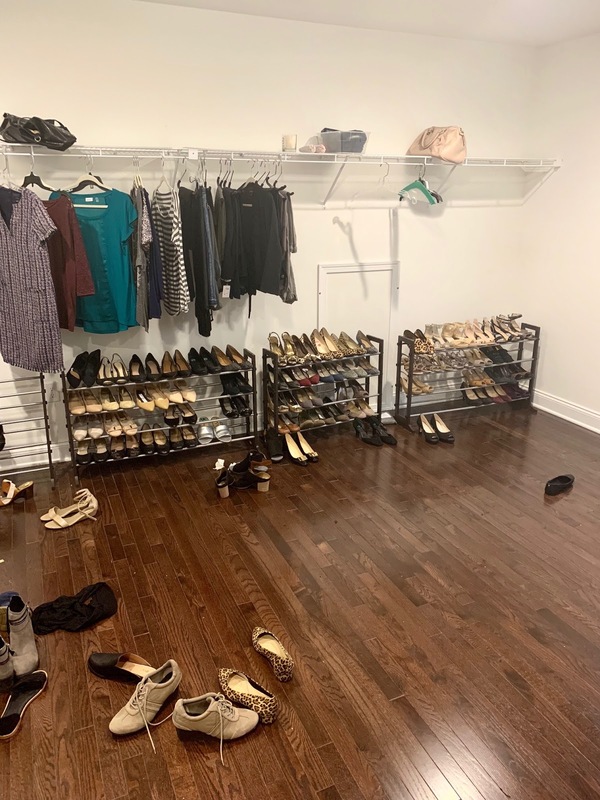 Without the right closet system, the room quickly became one big mess. Getting dressed in the morning was difficult and stressful. Sound familiar? It also didn't look very pretty. I wanted to create something spectacular. I envisioned a place that made me feel happy and where getting dressed was a breeze. I wanted it to be beautiful, functional and yes inspiring. 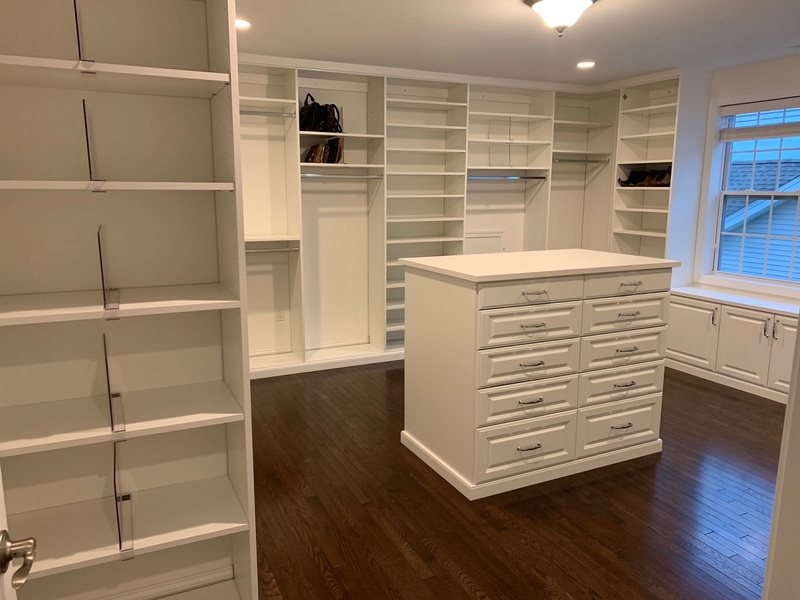 Enter Inspired Closets Boston. 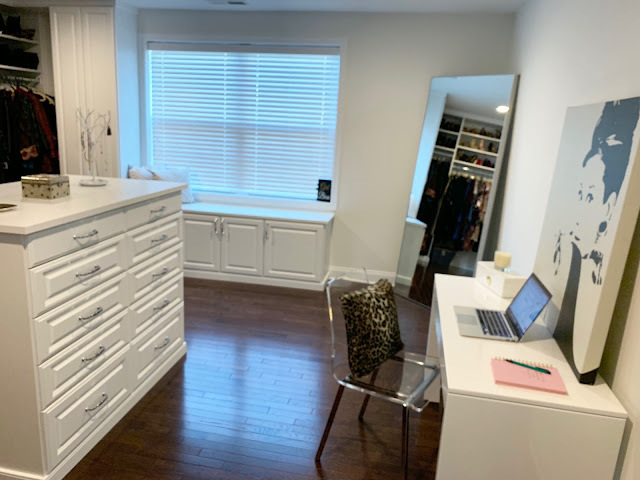 They took my vision and ran with it, creating an amazing space where getting dressed in the morning is pure joy. 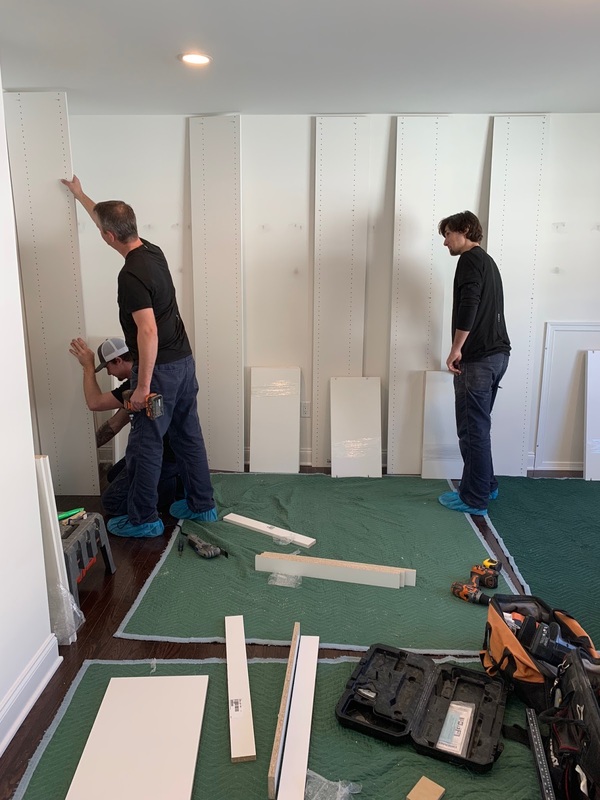 You might think that this type of project is too difficult or expensive to take on, but Inspired Closets Boston made it easy and fun! Plus they offer all types of options for every price range and budget. I contacted Inspired Closets Boston because of their reputation for being a leader in the industry and for providing personalized service and high-quality products. There are so many closet companies out there, but I wanted the very best! 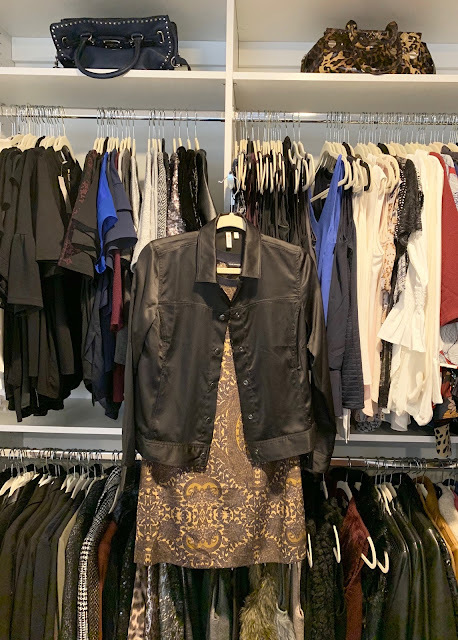 My experience with Inspired Closets Boston was A+. 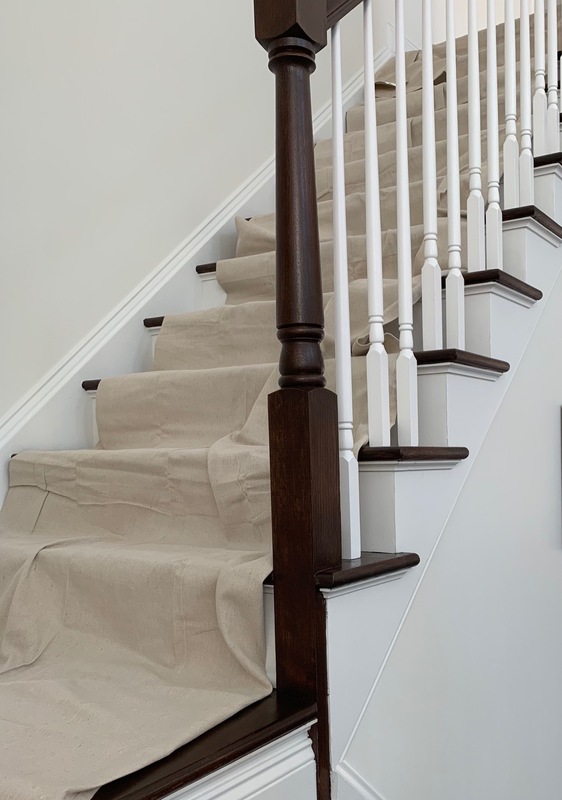 Their "step by step" approach breaks the process down to make for an enjoyable and stress-free project. They literally think of everything! 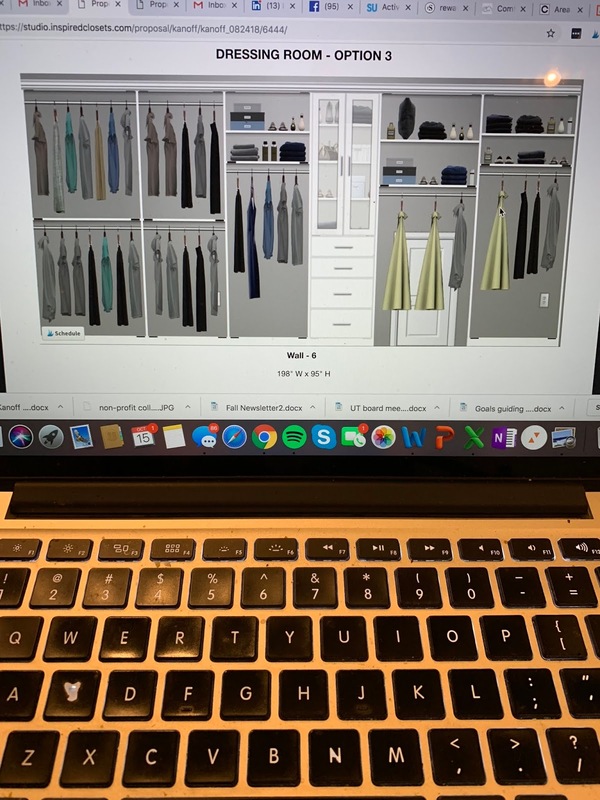 Step 1 Consultation: My local Inspired Closet dealer is Inspired Closets Boston. I've known the owner Nick Ardagna for years. He is extremely easy to work with, knowledgeable, experienced and dedicated to providing his clients with excellent customer service. We met at my house and evaluated my mess. I have to admit I was a little embarrassed at my extensive wardrobe, but Nick made me feel totally at ease. We talked about my vision for the room, how I want to use the space, and what look inspires ME. Nick LISTENED to my ideas and gave me some of his own recommendations. Nick took some measurements of the space. He even measured some of my maxi dresses to accommodate the length and counted my shoes and bags (uh oh...) to ensure that there would be a place for everything. We also took some time to go over the Inspired Closet "tool-kit". The literature gave me an idea of what to expect and lots of visuals to get me super excited! 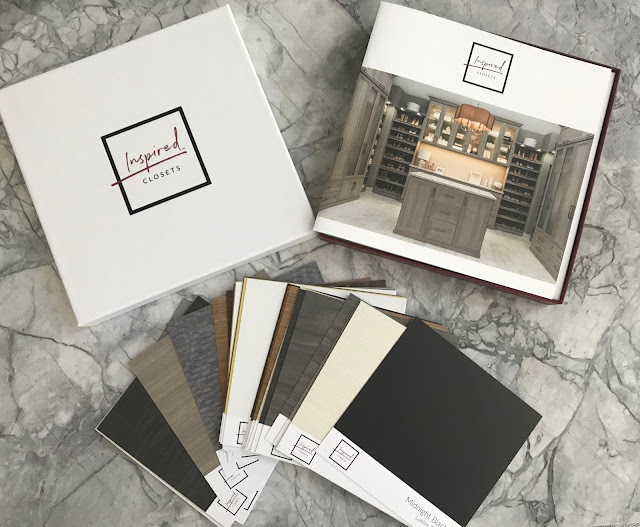 The number of finishes and options is incredible! Step 2 Design: This was the fun part! Nick and I met once at his showroom and then again in my home to discuss the plans he created. He came up with some fabulous designs based on my needs and wants--he really "got it"! 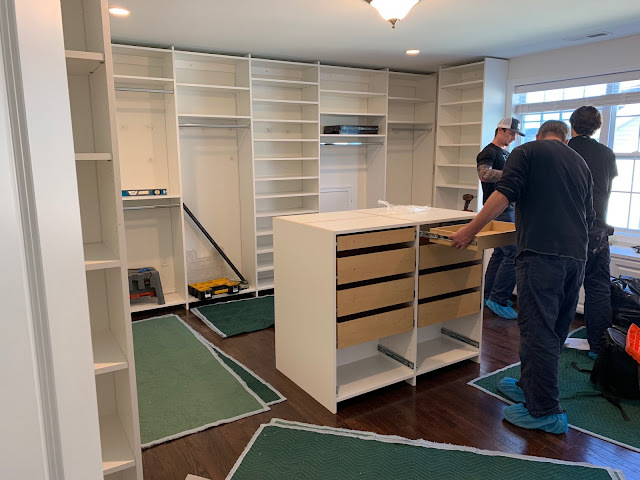 We talked about finishes, hardware and additional storage options such as an island in the middle of the room and a storage cabinet under the window. I LOVED his ideas! 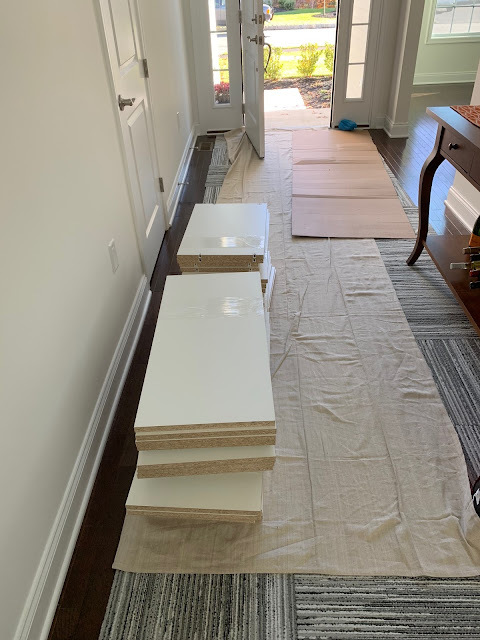 Because I wanted to keep the room bright and airy, I selected a bright white finish. Inspired Closets has 3-D software that makes the design process a visual experience--perfect for me since I'm one of those people who needs to see what I'm getting! OK now I'm really getting excited! Step 3 Prepare: This is the time when you realize how much "stuff" you've accumulated. It can be very overwhelming! But Inspired Closets can help with everything to make this part of the process a breeze! The even offer garment racks, storage boxes and assistance with packing if needed. They can also prep and paint walls! A closet overhaul is a GREAT time to do some serious purging! Step 4 Install: OK now it's really starting to get exciting! 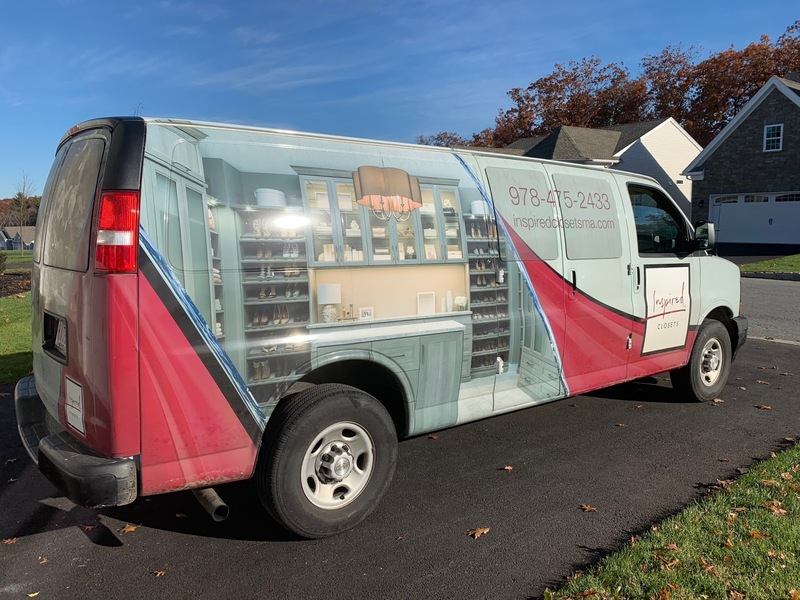 At 9:00 a.m. on the button (as promised), the Inspired Closets Boston van pulled into my driveway. These guys are punctual--what a concept! Ed, Dylan and Josh are a class act--super polite, extremely nice and very NEAT! 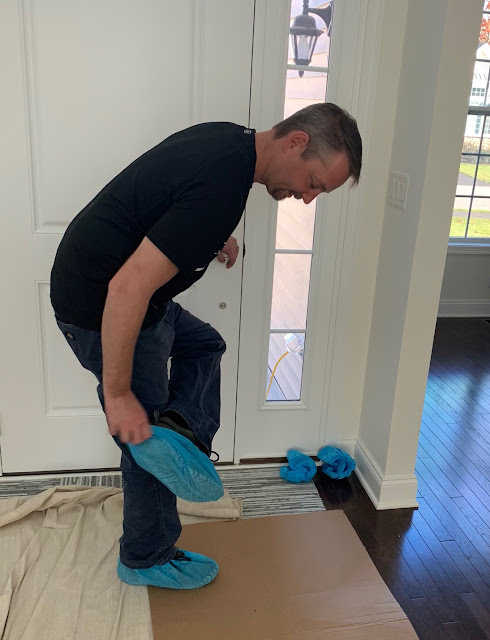 They treated my house like it was their own...shoes off and floors covered! The stress of having workers in my home instantly melted. I knew right away I was working with professionals who took their job seriously. This is definitely getting real!! I think I drove the guys crazy with"are you almost done? "500 times! I just couldn't wait to start hanging my clothes up! 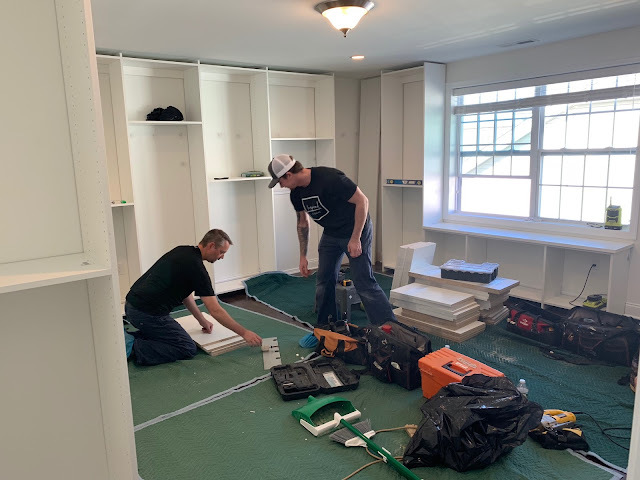 Notice how they creatively worked around the access panel that goes to our attic crawl space (to the right of the shoe shelves). Here is the final product--it's beyond my wildest expectations! 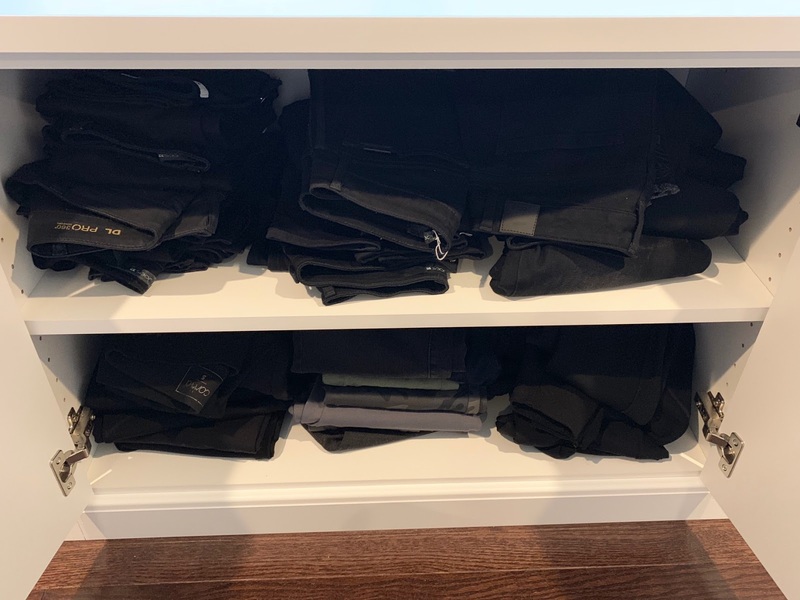 I'm so excited to start organizing my clothes! 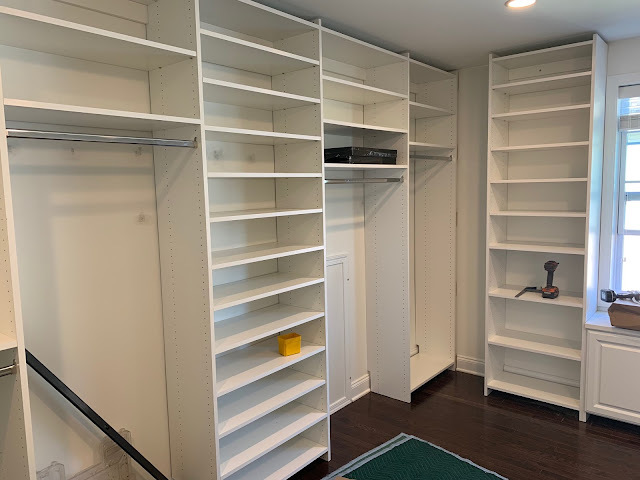 Step 5: Love my closet! Let me tell you about some of my favorite things about this space. Adding an island was Nick's idea and I'm so glad he thought of it! 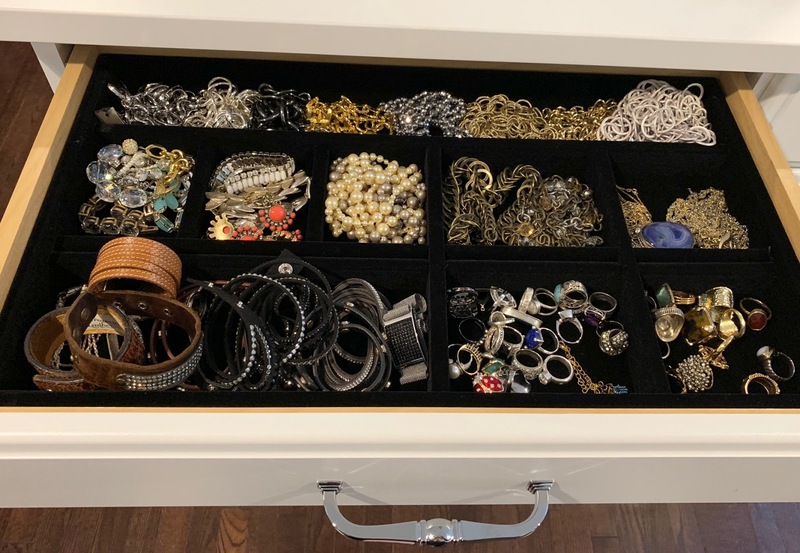 I love the extra storage for jeans and sweaters--plus the jewelry drawers make it so easy to actually SEE everything! Shelves make a huge difference in keeping my shoes neat and organized. Nick did a great job at determining how many pairs I own (yes too many) and calculating the number of shelves needed. 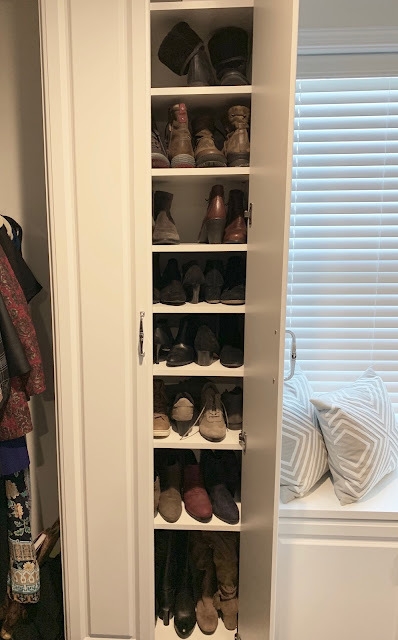 He even added a shoe closet to hide boots and sneakers! As you can see, the attic access panel I mentioned is barely noticeable (but still accessible) and all of my outlets were also left open. Inspired Closets Boston really thinks of everything! 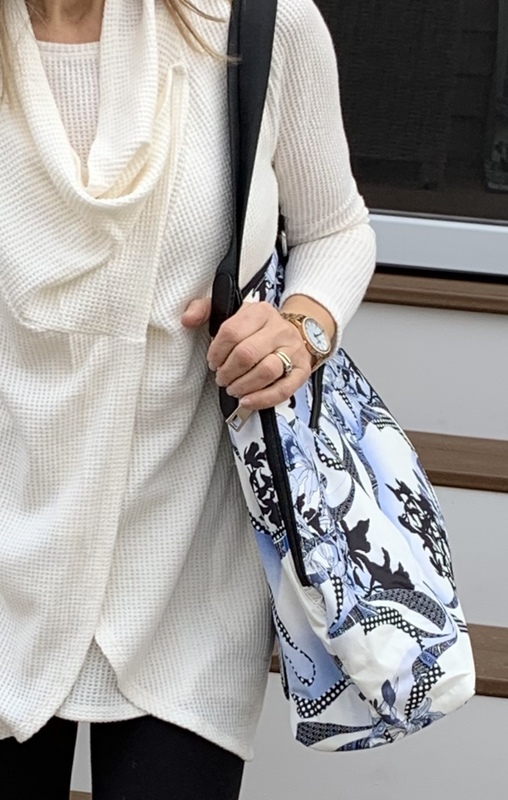 Yes I have a bit of a handbag addiction, but what good are they if you can't see them? Another favorite feature of my custom closet is the handbag wall that Nick created. Lucite dividers keep the bags standing straight so I can look at my babies every day! Every night I coordinate my outfit for the next day so Nick suggested adding a valet rod. Brilliant! Now to decorate---I envision a blingy chandelier, a velvet pad for the window seat, and a shaggy rug. Any ideas? I'd love to hear what you think! BIG BIG thank you to Inspired Closets Boston for partnering with me on this project. I can't recommend them enough. Give them a call if you have a space that needs an organization system. They can handle just about any room...garage, office, closet, or even laundry room! Organization is the key to happiness! This blog was sponsored by Inspired Closets. You know I only post what I love--and that's promise!